Where is the value in electric vehicles when they reach the end of their lifetime? Electric vehicles (EV) own around .2% of the total cars driving on the road today. Although this is a small portion of the market share, it has grown exponentially from 5 years ago. 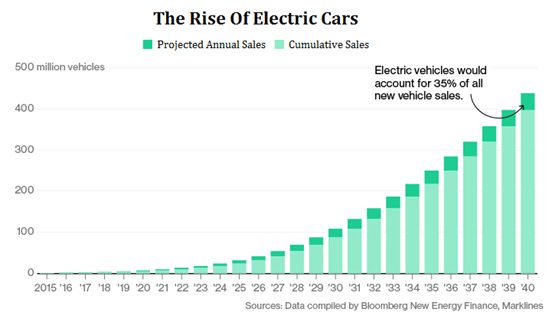 Electric vehicles are also projected to own a market share of over 30% by the year 2030. Many of these vehicles hold warranties ranging between 5 year/60,000 miles and 8 years/100,000 miles, meaning these cars have the potential to stay on the roads for over a decade. However, when they do hit the end of their useful, drivable lives, what is the next journey the car will travel along? With gas vehicles, the old and totaled, end of life cars are stripped down of everything valuable including its battery and metals because of high demands for recycled parts and materials as well as a rising value of scrap metal. Electric vehicles could be a slightly different story. As of now with the high EV price tag and volatility of lithium batteries, it is uncertain the returns on scrapping an electric vehicle. However that may change when the EV price drops to a more comparable amount to gas cars and they become more mainstream. For recyclers there is an added investment (and education) needed in order to be able to scrap an electric vehicle safely and properly. As of now with electric cars still holding a small market share and even fewer reaching retirement age thus far it isn’t economically viable for all recyclers to take on EV’s. What is useful about the lithium battery used in EV’s is when it is deemed unsafe and too worn out for driving, it still has around 70-80% of its charge left, meaning it has a long time before it is considered useless.These batteries are perfect for powering wind/solar energy, grids, and at home use. As was previously mentioned one of the uncertainties when it comes to scrapping electric vehicles is the value of the lithium-ion batteries that power these green vehicles. 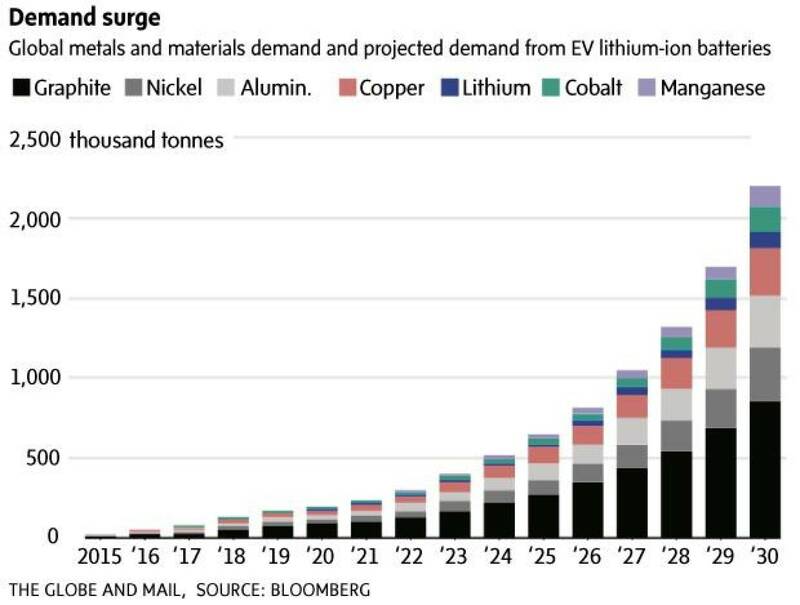 The price for lithium has been volatile over the last 30 years and the future value for the metal is just as unclear. 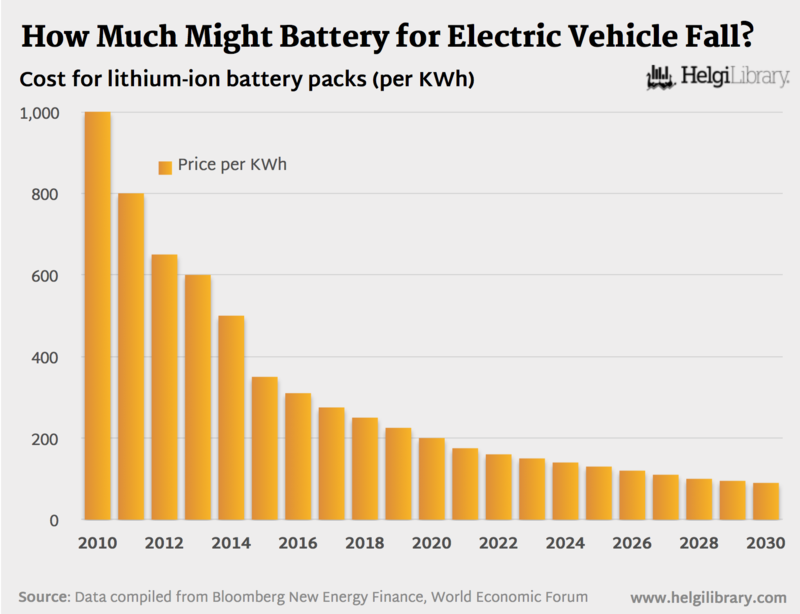 Demand is soaring, and is projected to increase exponentially in the upcoming years, but the supply is meeting the demand, resulting in the price of the battery dropping at a sharp rate. The lithium ion battery is decreasing in value as a result of the decreased price of metals used in its production, having gone down 90% since they were first introduced in 1990, and 70% in the last 6 years. It is uncertain where the value will ultimately lie with electric vehicles because of the semi-volatile metal prices, along with the decreasing battery price. But with the market share of EV suppose to grow from 2 million to a projected 125 million by 2030, the potential of profitability is limitless. 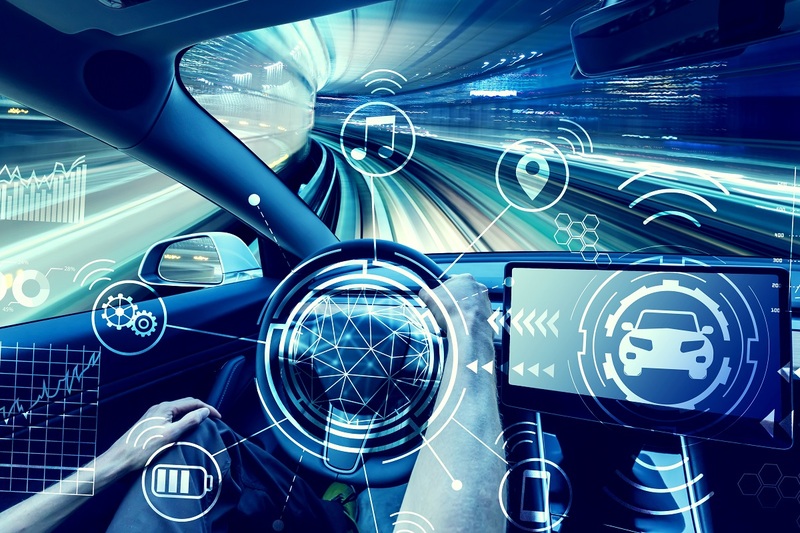 If you have an interest in the automotive industry and the markets supporting it, stay in the conversation by following our Market & Metals Blog.